A business analyst plays a key role in any organization. As a business analyst, you are tasked with the responsibility of evaluating and analyzing data, assessing the business model, managing communication and creating technical solutions that can help advance and fulfill the business’ needs. In today’s competitive world, impressing clients with the old and traditional business solutions is becoming tougher by the day. To remain effective and stay at the top, you will need to learn new techniques and adopt the best practices in order to keep up with the changing demands of the market. 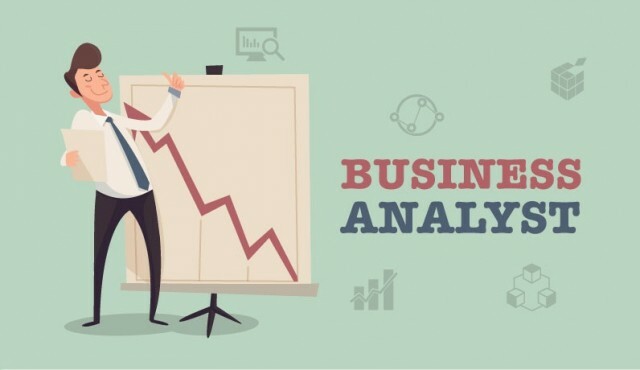 Let’s look at 5 tips to becoming a better business analyst. One of the keys to becoming a better business analyst is to develop a genuine interest in what you do. In order to make a real impact on the organizations you work for, you have to work with intention. Identify your key skills and natural gifts. What drives you? What projects fascinates you the most? Take an inventory of your role as a business analyst and determine if it’s best for you. Remember, even the most experienced analysts don’t qualify for every project. Pair genuine interest and new opportunity and you will be on your way to the top. A great business analyst will always be prepared to go beyond the call of duty. Take up additional work if it provides greater value to the business. You will also need to acquire additional knowledge and skills in order to improve your communication and domain knowledge skills. Better business analysts meet deadlines, embrace teamwork and avoid getting entangled in the politics of the organization. Also Checkout Recruiting Technology that are going to shape the Future of Staffing? Great business analysts are resourceful. In your line of work, you will encounter challenges. Sometimes the answers to your questions will not come in handy. Identify creative and alternative paths to solve problems. Work with the right people at the right time. Grow your toolbox of skills to ensure that impressive solutions are delivered always. For you to analyze your career progress, you will need tangible feedback. Feedback allows you to reflect on your past performance, evaluate your strategy and develop an action plan built on the recommendations. Talk to your manager and ask him to review your progress. You could also get some tips from other experienced business analysts on how to strengthen your position and create new opportunities. To become a better business analyst, you need to go through a business analyst training. Without training, finding solutions that drive business to profitability and success becomes impractical. Training helps you acquire the right skills needed to stay competitive in the fast-changing marketplace. With training, you will better understand organizational needs, project investment optimization and how to use technology to drive positive business outcomes. There you have it; 5 tips to becoming a better business analyst. Want to become a successful business analyst? The Pierson Requirements Group business analyst training is your roadmap to success. This training will equip you with the best techniques and guidelines that will significantly strengthen your career goals.